Traveling with your dog is not something you should take lightly (there's plenty that can go wrong and tons of stuff to remember), but sometimes you just want to take a trip with your best furry friend. That’s why we’re creating the ultimate guide to traveling with your dog – so you’ll know exactly what you need! I'm going to hand this section to one of the real experts, Paris Permenter of DogTipper.com. 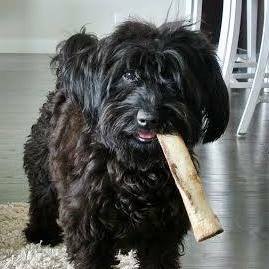 I've followed her blog for a long time, and, in addition to being an excellent, fun source of doggy goodness, it's full of good tips on traveling with your dog frugally. One of the best ways to save money on pet travel is to book a stay during off-peak times. For leisure destinations, that means a weekday stay will be less expensive; for business destinations, like cities, weekends can be less costly. You can also take advantage of shoulder season, the period just before and after peak season when the weather's good but demand--and prices--are lower. Some properties are also more flexible with their pet policies during shoulder and off-season periods, so they might accept larger dogs (or more than one dog per room) during this quieter season. For beach getaways, shoulder season is comprised of the weeks after spring break but before summer. To save money, it's important to check pet fees. If a hotel charges a pet deposit, make sure that it's refundable; some properties charge what is essentially a pet fee but call it a non-refundable deposit. Also, note if the fee is per night, per stay, or per pet. 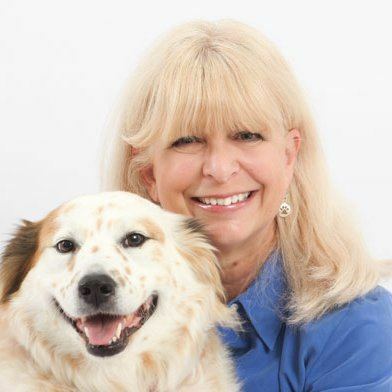 Paris Permenter is the publisher of DogTipper.com and author of 30+ pet and travel guidebooks. She's and her husband, John, are some of my favorite dog bloggers, so check them out! Traveling by plane is quick and easy for humans, so it's natural to assume it works well for pets too. The truth is that air travel is not safe for pets, according to the Humane Society. They recommend that you only transport a pet by air as a last resort or if it's necessary. Air travel is especially dangerous for animals with "pushed in" faces such as bulldogs or pugs. Their short nasal passages leave them more vulnerable to oxygen deprivation and heat stroke. "Air travel is especially dangerous for dogs with 'pushed in faces,' like pugs and bulldogs." Call the airline directly to make your reservation if you want to bring your dog. Confirm there is space available for your furry friend before you book your seat – some airlines only allow a couple of pets per flight. It also doesn't hurt to call the airline again a day or two before departure to reconfirm you are bringing a pet. Prepare your dog for his trip by putting him in his carrier as often as possible for trips around town – this will lessen the stress on your pet on the big travel day. The USDA requires that your dog has been offered food and water within four hours before you check in. Aim for right at four hours so he doesn’t end up with an uncomfortably full stomach during the flight. Do give him water up to travel time and leave food and water dishes in the crate if you are checking your dog. Exercise your pooch before you go to the airport and carry a leash so you can walk him while you wait for flights. Don’t arrive too early – you can’t check your dog in more than four hours before your flight. Most pet carriers are made of hard plastic with holes for ventilation. The carrier must be large enough for your dog to stand up, turn around and lie down comfortably. Make sure the carrier has a solid, leak-proof floor covered with some sort of absorbent lining. Carriers should be well ventilated, include a handle and contain empty food and water dishes so airline employees can feed your dog if necessary. Mark the carrier with your pet’s name and an identification tag with your home address and phone number and the number of someone who can be reached at your destination. You should also mark “Live Animal” on the top and sides of the carrier, with arrows showing the right direction to orient the cake. Kennels are allowed to contain one adult dog or two weaned puppies. The USDA requires that your pet be at least eight weeks old, fully weaned and in good health before traveling. Book direct flights if possible; you'll reduce your risk of mishaps and make the experience less stressful for your pup overall. When you board, notify the captain and a flight attendant than you have a pet in the cabin or the cargo area. They'll sometimes take special precautions. Most airlines will also not let your dog travel in the cargo area if outdoor temperatures are too high or too low. If you're traveling during extreme temperatures, minimize risk by choosing early morning or late evening flights during the summer and afternoon flights during the winter. Try not to fly with your dog during busy travel times, such as the holidays; flights are much more likely to be rough and bumpy with airline staff are hurried. When you arrive at your destination, open your carrier as soon as possible to examine your pet. If anything seems wrong, contact a veterinarian immediately. Don’t be afraid to speak up if you see your dog (or someone else’s) being mistreated by an airline employee. Ask to speak to a manager and report the incident both verbally and in writing. Traveling with your canine companion by car instead of a plane offers much more flexibilityover shorter distances, but you must also be aware of several concerns as well. There are many details to think through as you prepare. Here are a few more miscellaneous things to remember as you bring your furry friend along on your next family vacation. Dogs thrive when they are settled in a comfortable routine. This is difficult when traveling, but try to give your dog regular walks and playtime. Make sure he always has fresh water and food. Try to keep the food the same as he gets at home – if you have to change it, do so gradually. Don’t forget to wash his bowls daily. It’s a good idea to look ahead of time for emergency animal clinics close to wherever you’ll be during your trip. If an incident does occur, you’ll be a step closer (and quicker) to getting your dog the help she needs if you already have an idea where to go. Yes, towels. If your dog likes activity and will be outdoors quite a bit, bring plenty of towels. Dogs usually need some help wiping their feet off, and the ability to keep them from tracking mud and dirt into your hotel room or rental car could save you a hefty cleaning fee. If you're going on an outdoorsy adventure, here's a great guide for minimizing your environmental impact and being respectful of the place you're staying. For many Americans, their dog is a vital part of their family and they cannot imagine leaving their canine companion at home during a fun, relaxing family vacation. While it might require a little extra preparation and work, it’s entirely possible to bring your dog along to join in on the fun. Many hotels and businesses have intentionally made their facilities pet-friendly to provide great customer service, so don’t be afraid to take advantage of their offers. Your dog will appreciate the effort you make, and you’ll enjoy having one of your favorite friends along.